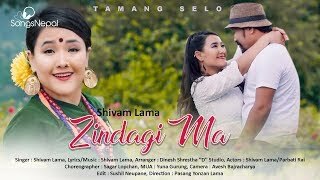 “Timi Aghi Aghi” is a Nepali Pop Song by Shivam Lama. The Lyrics of the song ‘Timi Aghi Aghi’ is written by Puja Gurung and the Music is composed by Shivam Lama. The Nepali Pop song ‘Timi Aghi Aghi’ is arranged by Gopal Rasaily. The direction of the Music Video is taken by Nikesh Khadka and the camera direction is taken by Sanjeet Shrestha. The Model starring in the song ‘Timi Aghi Aghi’ are Sujita Shrestha and Puspa.